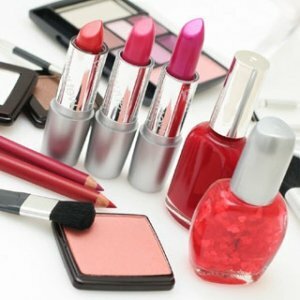 Cosmetics and toiletries are often made from non-renewable, synthetic ingredients which are actually toxic in some cases. The best options are products made from natural, renewable ingredients that are non-toxic and biodegradable. Responsible products will also feature minimal, recyclable packaging. The use of unsustainable natural products. According to the WWF, as many as 10,00 plant species threatened because of the demand from herbal remedies. The ingredients used in natural cosmetics and toiletries very likely have similar impacts. The need for large quantities of ingredients such a palm oil is causing changes in land use, deforestation and resultant biodiversity loss. Another example is the mining of a non-renewable resource, soapstone (used for making talc), in India is causing major social and environmental problems.